Winter must be the hardest time of all to keep raw foods appealing. Even though I love them, cold salads at lunchtime do not tempt me right now. 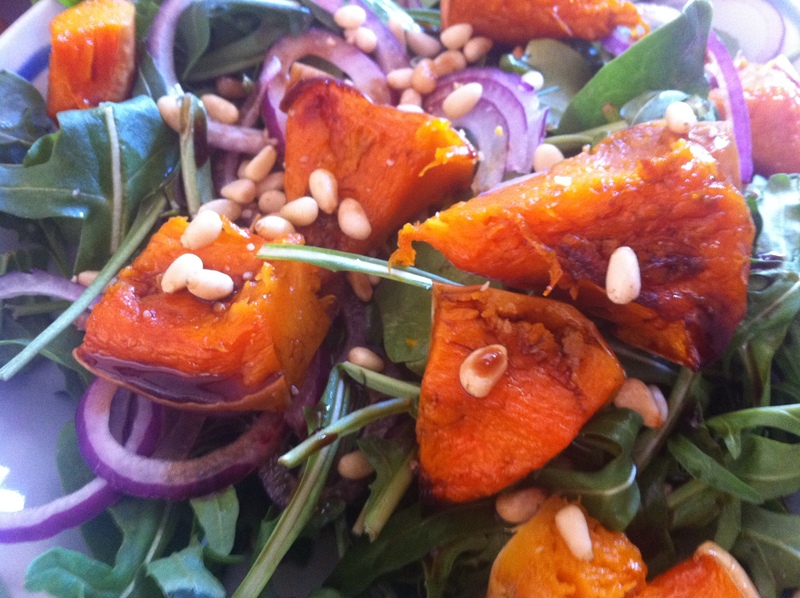 So I came up with an idea, not an original one, but a yummy one none the less: Roasted Pumpkin Salad. De-seed pumpkin and cut into 2×3 cm chunks. Place in the backing dish and add coconut oil, all the garlic cloves and fresh herbs. Pop in the oven and turn the pieces periodically until cooked and a little brown. Cook time is approximately 40 minutes. Slice mushrooms and place in a small bowl with about 2 Tbsp of Balsamic vinegar and set aside to marinade. Place rocket and baby spinach in a good sized bowl. Add mushrooms and toss lightly. 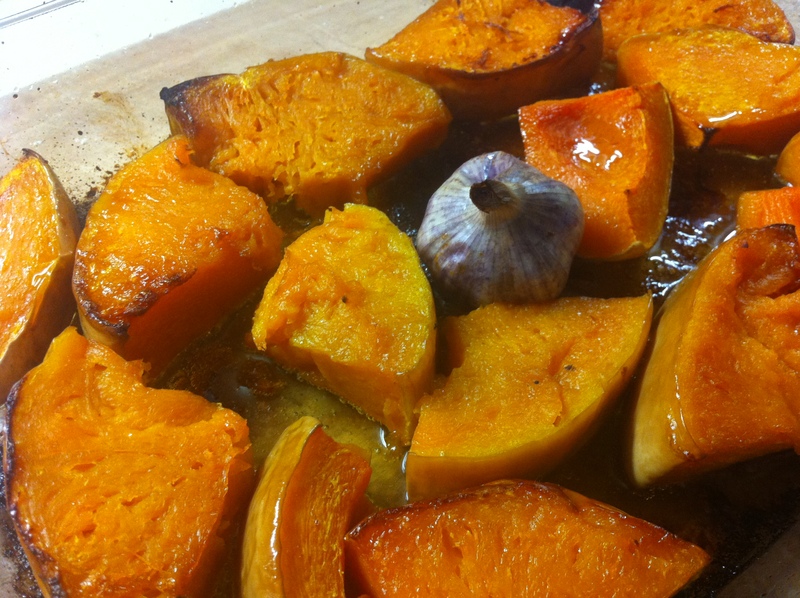 When the pumpkin is roasted, cut into bite-sized chunks and lay them on top of the salad. Add a drizzle of balsamic, a grind or two of Himalayan salt and enjoy!